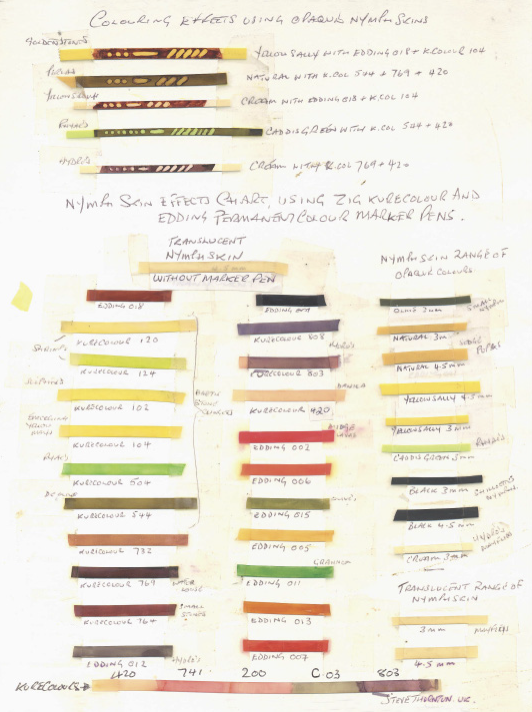 Nymph Skin colours swatch for using Natural Nymph Skin with permanent colour marker pens. 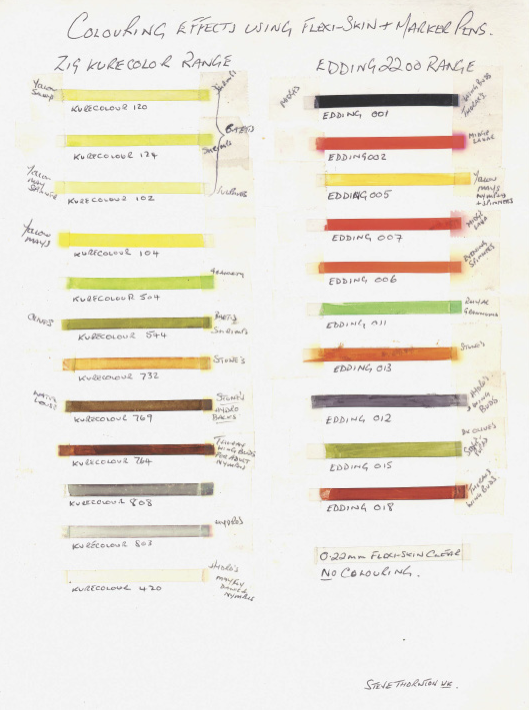 An extract from Listen to the River Books by Steve Thornton. 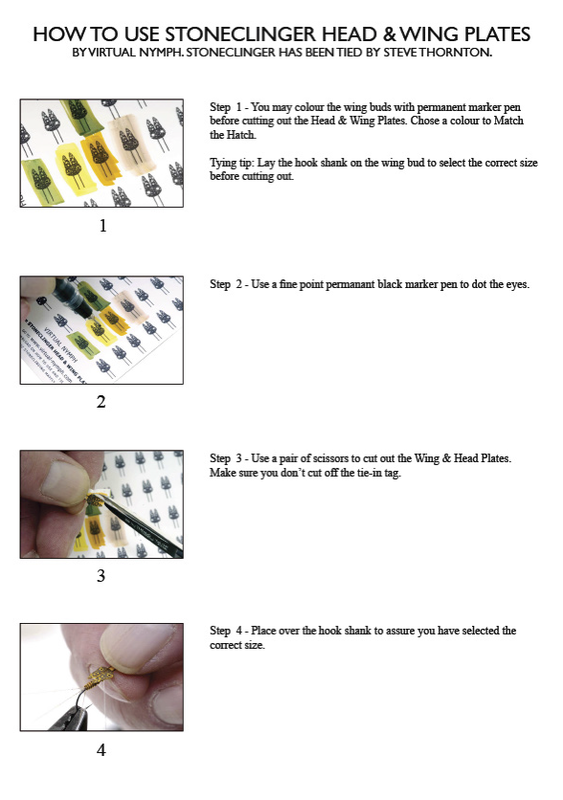 Coleoptera Body - Step by Step illustrated PDF on how to tie a beetle using this product. An extract from Listen to the River Books by Steve Thornton. WaterWing - Step by Step illustrated PDF on how to tie a Spent Ephemera using this product. An extract from Listen to the River Books by Steve Thornton. The Ammonite Nymph. 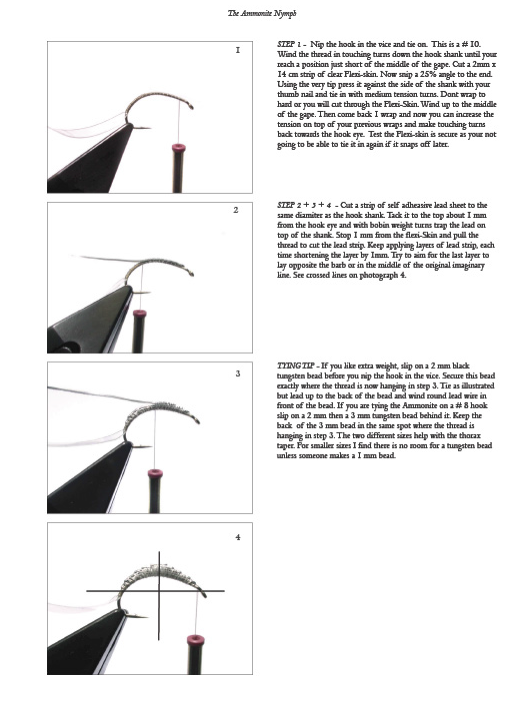 Step by Step illustrated PDF on how to tie an Ammonite Nymph using VN Products. An extract from Listen to the River Books by Steve Thornton. 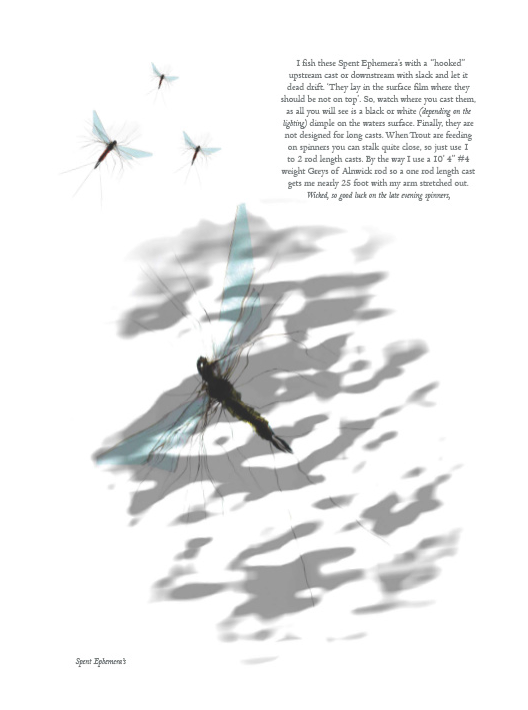 Step by Step illustrated PDF on how to tie a Hepagenid and Stonefly using these two VN Products. Stone Clinger Head & Wing Plates & Stonefly Wingbuds. 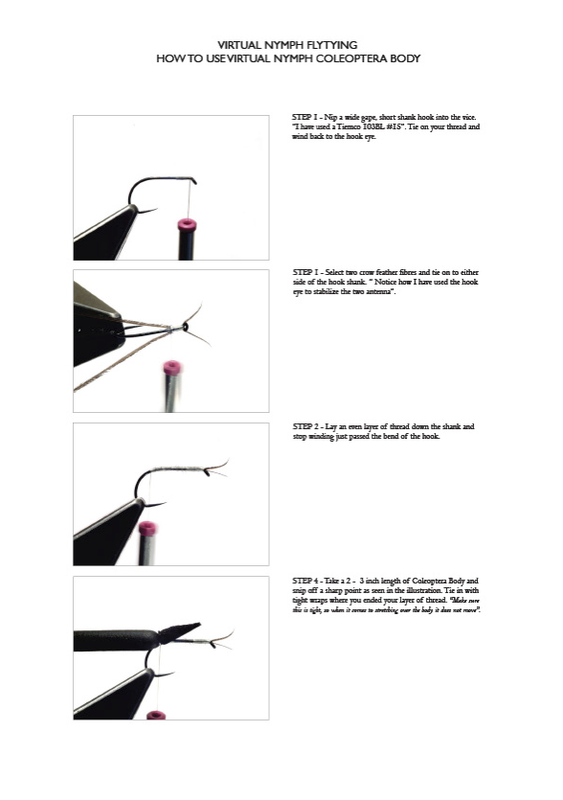 Step by Step illustrated PDF on how to tie a Hepagenid and Stonefly using these two VN Products.